Is kiruv a mitzvah? Is it biblical or rabbinic? Is there any reason it should supersede other mitzvot? what are the sources in chazal and halacha relating to kiruv? Rav Sheinberg ZS"L said the source is "Kol Yisrael Arevim ZeLaze." The mitzvah of tochecha(rebuke) and vahavta l'reacha kamocha(loving ones friend) are intertwined and kiruv is a huge mitzvah and it is like saving a life. Rambam (Mitzvos Aseh 3),Minchas Chinuch (Mitzvah 239 Os 4) .The Gemara in Shevous 39 brings the idea from a passuk of areivus(responsible for a community)that not only one has to help individuals but also bring a community closer. There is an Ohr haChaim by the mitzvah of hashavas aveidah which learns homiletically (al derech derush) that returning lost objects to one's friend is an allegory for returning lost Jews to Hashem. I am not sure how authoritative it is really as a halachic source though. We are obligated to care about and increase kavod shamayim in the world. The Chofetz Chaim brings a Midrash (Bereishis Rabbah 54:4) which says the Jewish people were reprimanded for caring more about their animals than the fact that the Aron HaKodesh was stolen by the Pelishtim (I Samuel 5:1). This obligation stems from the mitzvah of Ahavas Hashem, Loving G-d. The Rambam (Sefer HaMitzvos #3) explains that part of the mitzvah is the desire to spread the knowledge of Hashem in the world. This should obligate us to educate those ignorant of the Torah and inspire them to fulfill it. As long as others haven't fulfilled their mitzvah, there's a lacking in my fulfillment of my mitzvah. Sometimes it's even better to lessen my own mitzvah in order to facilitate others fulfilling theirs (see Magen Avraham to Orach Chaim 658 §12 and 671 §1). This shows how important it is to ensure all the Jews are doing what they are supposed to be doing. The Chofetz Chaim claims that if the Torah obligates us to return someone's lost object, all the more so should we return their souls. This idea is also found in the Shelah (Torah Shebekesav Parshas Kedoshim s.v. שלא לעמוד על דם) and Minchas Chinuch (#239 §6). There's a curse against those who don't uphold the Torah (Deuteronomy 27:26). 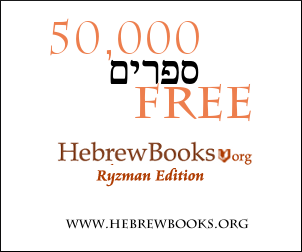 The Yerushalmi (see Ramban ad. loc.) explains that this includes making sure those that are ignoring the Torah fulfill it. The Chofetz Chaim holds that anyone who can influence others to fulfill the Torah and decides not to should be very afraid that this curse not affect them. Those who do inspire others are therefore included in the corresponding blessing for those who uphold the Torah. The sources I didn't link to are readable in the above source sheet. Not the answer you're looking for? Browse other questions tagged halacha sources-mekorot mitzvah kiruv-outreach .